Raj has 20+ years of software industry experience with 10 years at Microsoft. Raj is a Founder and CEO of Arth Systems, a business and technical consulting and systems integration business based out of Redmond WA Raj is also partner into PaperTracer which is SaaS solution for business and document workflow management. She is the Chief Alliance and Strategy Officer there. Expertise - strategic alliances, business development, analyzing, developing and maintaining standards, project & software methodologies, and processes. Raj is a serial entrepreneur of multiple technology companies and has strategically grown the companies. Her strength includes strong leadership, interpersonal, and team building skills. She has established a consistent track record in solving many customer problems in application development, advising on cloud readiness, partnership & strategic alliances and enterprise mobile solutions to achieve the growth on short term as well as long term successes. Raj has worked on below channel strategies; 1. At Microsoft - she was managing High Potential Channels (ISVs) to help them to adopt Microsoft emerging Technologies 2. At Arth Systems - as a founder she setup multiple channels for system integration services to tap into clients to provide Microsoft stack services like Office 365, EMS, SP, Azure, CRM 3. 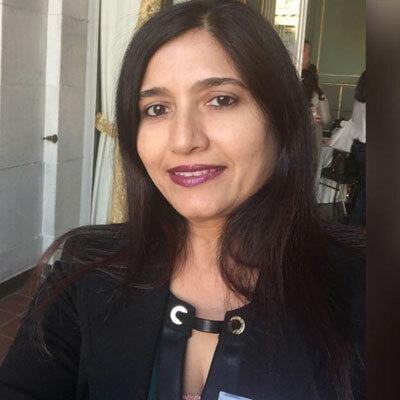 At PaperTracer - Chief Alliance Strategy Officer - she has setup a channel partner program strategically to grow sell of PaperTracer nationally and internationally. 1. Arth Systems - we are trying to adopt and fine tune channels to bring more business by selling Microsoft solutions. 2. PaperTracer - USA - strong channel adoption to sell more. Getting on boarded with IngramMicro to sell to SMB. India - setup channels who are sharing leads in the emerging market. Setup India JV to penetrate into market with the right SI. Goal is to increase the sale by 100-150% through channel for both the companies. Many great feedbacks at Microsoft while working with Channels - from co-workers and channels. Achieved to bring IngramMicro as a reseller for PaperTracer. Be confident as you are because you have a great life ahead! Machine Learning and AI. Learn and contribute towards the humankind with help of Machine Learning and AI to solve complex problems. Also interested in learning Psychology. It is fascinating to learn and research human behaviors, emotions and passion. And how we would react to the next generation of technologies. Think and Grow Rich - by Napoleon Hill, Because it is promoted as a personal development and self-improvement book.